A bigger, meatier version of traditional chicken wings, our premium baked turkey wings come with a bottle of Bubba’s World Famous Carolina-Style BBQ Sauce. Fully cooked and ready to slather with sauce, heat and serve, these oversized wings are perfectly satisfying for larger-than-life appetites. Sauce: Thaw sauce before use. Refrigerate after opening. Turkey Wings: Product comes fully cooked. For best results, thaw under refrigeration. Use within 5-7 days. Conventional Oven: Preheat oven to 350°F. Apply Bubba's sauce to wings. Place frozen wings one inch apart on an oven-safe, non-stick sheet pan or use non-stick cooking spray. Bake wings in oven for approximately 15-17 minutes, 10-12 minutes if thawed. 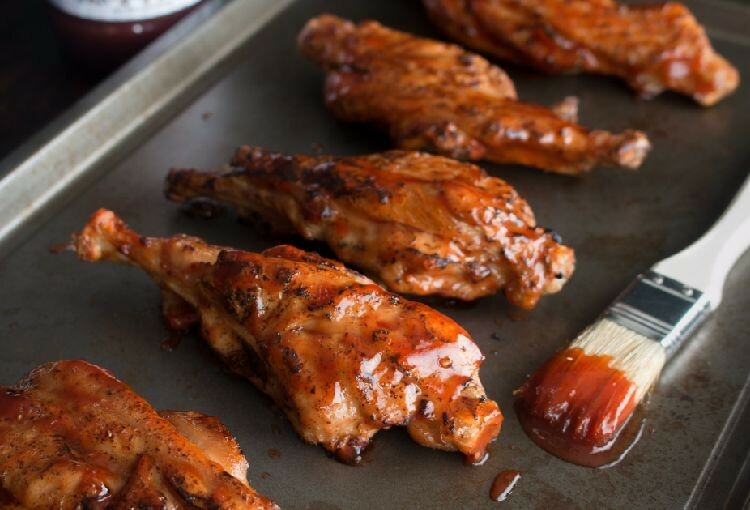 Grill: Place wings on a preheated grill and apply Bubba's sauce. Cook for 3 minutes; turn wings. Cook an additional 2 minutes or until wings are hot in the center. If cooking from frozen, be sure to add an additional 7-15 minutes or until product is warm. *Nutrition information for the Bubba's BBQ sauce is provided on the bottle.